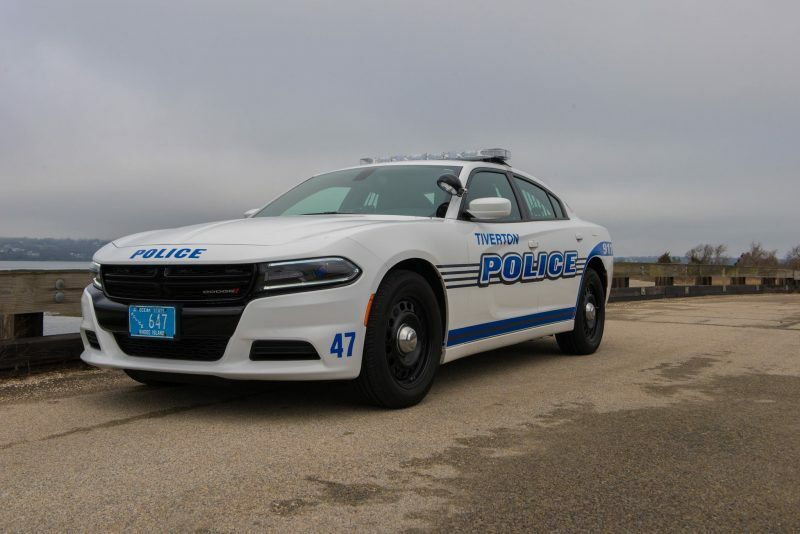 The Tiverton Police are looking to spread the love for Valentine’s Day by making some special deliveries. The TPD will be out on Wednesday giving away some Valentine’s Day gift cards and boxes of chocolates. 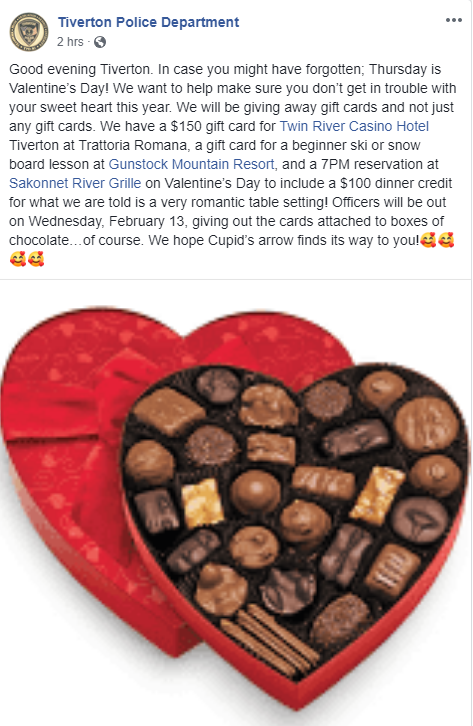 They have a $150 gift card for Twin River Casino Hotel Tiverton at Trattoria Romana, a gift card for a beginner ski or snow board lesson at Gunstock Mountain Resort, and a 7PM reservation at Sakonnet River Grille on Valentine’s Day to include a $100 dinner credit with a very romantic table setting. Makes you want to drive through Tiverton just because!